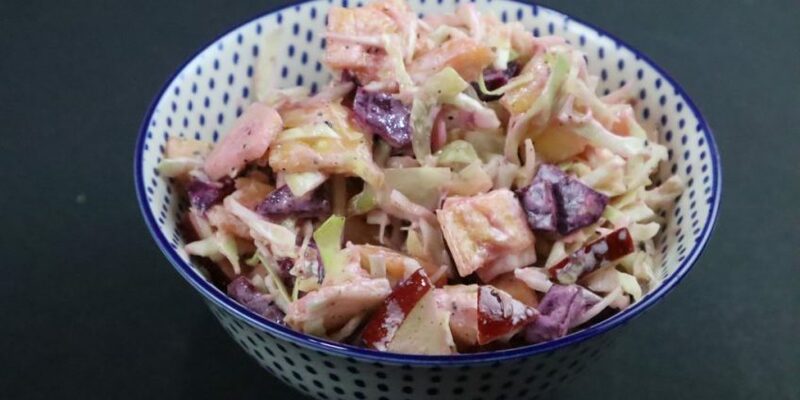 Cabbage pineapple salad is a fresh & healthy recipe. 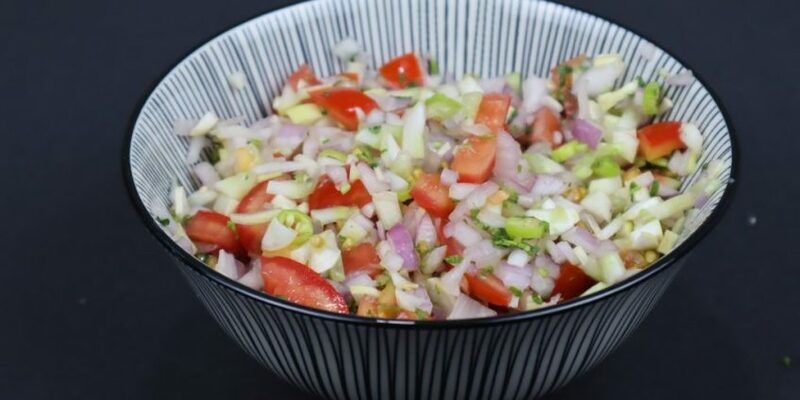 It is a 15-minute salad recipe. The taste is extraordinary and tangy. This salad is the most healthy. It is a good mixture of veggies & fruits. The beetroot is the main charmer of the salad. It creates a fascinating colour for salad. When kids at home don’t eat veggies, you know what you have to do. 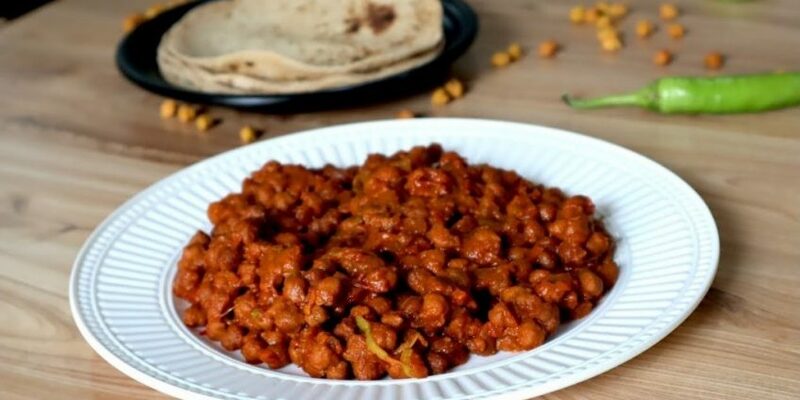 Just prepare this amazing recipe in quick time & feed them all the nutrition. 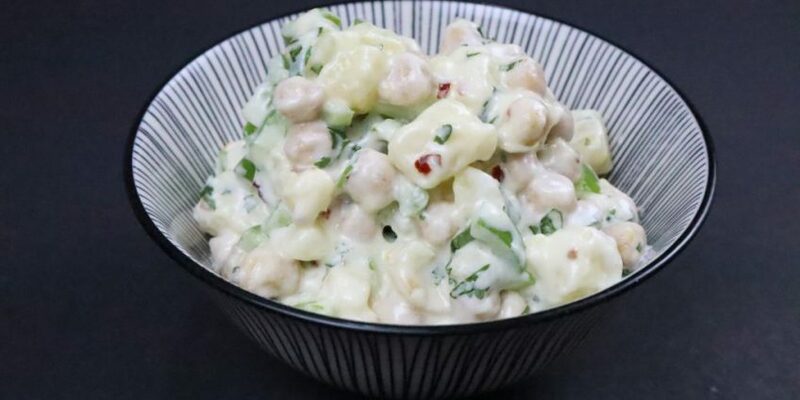 The salad is very nice idea during summer. And especially beetroot plays a major role to give you a good blood circulation. Take a bowl. Add shredded cabbage, chopped pineapple, chopped apple, and chopped beetroot in the bowl. Add greek yogurt, olive oil, salt to taste and black pepper for salad dressing. Mix well everything in a bowl. 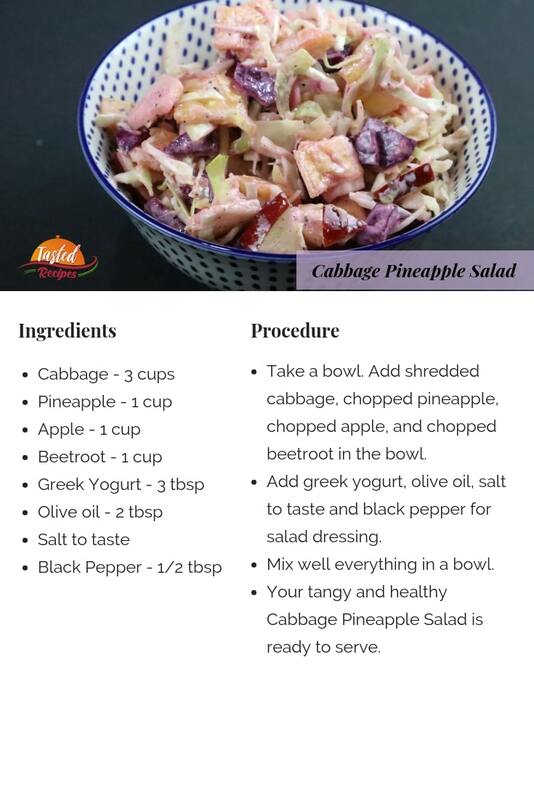 Your tangy and healthy Cabbage Pineapple Salad is ready to serve.